Shopping for a new Volvo XC40? A Swedish car with extra-cost heated seats? Will a Netflix car for broadcast buyers work? The 2019 Volvo XC40 goes on sale in March 2018. We’re already pulling out our calculators to see if Care by Volvo makes sense for us too. Hope springs eternal for Volvo. It pioneers a new way to pay for a car, and the 2019 XC40 sports many features that may impress younger shoppers. The color palette skips swatches from your parents’ closets and offers blues, reds, whites, and oranges that seem like a good idea—for now. Volvo will sell a front-wheel-drive T4 XC40 later this year. 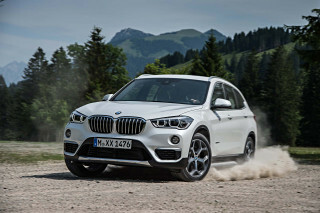 It now offers the 2019 model-year crossover in T5 all-wheel-drive configuration, in either Momentum or R-Design trim. The XC40 is a substantial departure from Volvo’s other crossovers on the surface—and deeper ways too. The possibilities for looks vary from Amazon Blue with a white roof and white wheels, to bright red with a black roof and black 20-inch wheels. Come at me, bro. Built like The Weeknd, the wild looks of the XC40 cover a deeper soul that we’ll get to in a minute. First things first. Volvo will offer the XC40 with a subscription model that we think may have legs. For $600 or $700 per month, subscribers will get a T5 AWD and coverage for varying levels of goodies, insurance, maintenance, and wear-and-tear items. Subscribers can turn in the keys after one year and get a new car, or hold on to their car for two years and buy it outright or walk away. It’s a surprising departure from the typical car-buying model. We’ll watch to see how it plays with owners. If that sounds like a cellphone plan, it’s by design. The XC40 aims straight for younger buyers. Under the hood of the first models to arrive Stateside will be a 2.0-liter turbo-4 that makes 248 horsepower and 258 pound-feet of torque. Mated to standard all-wheel drive and an 8-speed automatic, the XC40 is a nimble mover with a 6.2-second, 0-60-mph sprint. Its best qualities are ones that will be shared with cars that come from the XC40’s new platform, namely its supple ride. Electronically adjustable dampers will be available later this year, and may liquefy uneven roads, but we haven’t driven cars with that suspension yet. The R-Design trim level adds bigger wheels, stiffer springs, and beefier roll bars, but the ride still isn’t spoiled. Points there. Four adults will fit fine within the XC40, with plenty of smart interior storage cubbies and foldable shelves. The details are too numerous to list here, but Volvo offers a center armrest trash bin; why wasn’t that a thing already? All trim levels are well-equipped and base versions are gifted 18-inch wheels, advanced safety features (that we cover later), LED headlights and taillights, leather upholstery, power adjustable driver’s seat, a 12.3-inch digital instrument cluster, Bluetooth connectivity, and a 9.0-inch touchscreen for infotainment with Apple CarPlay and Android Auto compatibility for $34,195. All the sudden riding a hoverboard to work doesn’t seem so much like the future anymore. Small crossovers are a young buyer’s game, and the 2019 Volvo XC40 looks every bit the part. The 2019 Volvo XC40 steps out of the XC mold a little and charts its own direction from the lineup, which mostly works. Unlike the XC60 and XC90, which were drawn by Thomas Ingenlath, the XC40 was delivered from unheralded 31-year-old Ian Kettle, who submitted the initial design five years ago, fresh out of art school in London. The result is an XC40 that picks up some of Volvo’s familiar cues, but with its own spin. Instead of a convex grille from the XC60 and XC90, the XC40 takes a concave and a lip that adds a small underbite. The signature LED headlights—dubbed “Thor’s hammer” by Volvo designers––flank the grill and reach up toward a stamped clamshell hood that relieves the nose from any shunt lines. The roof line is overshadowed by an window line that kinks up from the rear door to create a fat rear roof pillar that meets one of three roof colors with a cutline and trim piece that blends the seams well. On R-Design models, the trim is stamped with an “R-Design” logo that we particularly like. Along the bottom, a contained trapezoidal stamp breaks up the vertical weight of the doors and ties the front to the back well. Inside, the XC40 blends a horizontal dash with a vertical touchscreen toward the middle, where the crossover is its lightest. We admit that the “Lava Orange” carpet won’t be for most buyers, but it’s a refreshing take on what could have been a very dark interior. The door inserts draped in bright colors look strangely odd—and bottom-heavy—but the storage they provide is worth the risk. The XC40 looks much younger than the XC60 and XC90, and suddenly it makes a lot more sense to us. The Volvo XC40 is gifted with a comfortable ride and a very good 8-speed automatic—the rest is icing, and we’ll still take it. The 2019 Volvo XC40 is a new crossover on a new platform for Volvo, and one that will spawn several iterations in the near future. But the current crossover shouldn’t be overlooked. The first examples to hit our shores in March 2018 will be equipped with a 2.0-liter turbo-4 that makes 248 horsepower and 258 pound-feet of torque. Paired to an 8-speed automatic and all-wheel drive, Volvo calls the early versions T5 AWD, although more powertrains are on their way. Along with a new skeleton, the XC40 boasts new powertrains with an electric version on the way. The turbo-4 found under the hoods of T5 variants is good; power is delivered quickly without being too sharp, and the 8-speed doesn’t skip ahead too quickly in the name of efficiency. Like other turbocharged engines, the turbo-4 in the T5 delivers its best punches early in the rev range. Volvo estimates that the T5 will accelerate up to 60 mph in 6.2 seconds, which is identical to the BMW X1 xDrive28i, and among the quickest in the class. The Volvo does it with less growling under the hood, its behavior is predictable and refined compared to others in the class. Its 8-speed partner takes some of the credit too—with a caveat. The shifts are smooth and well-timed; comfort mode doesn’t force early upshifts in the name of efficiency, and dynamic driving mode holds them well deep into the rev range for quicker thrusts of the throttle. Volvo’s shifter, however, is maddening to operate. Pulling the car out of park requires two separate pulls of the shift knob, only one tips the car into neutral. It’s easy to pull the shifter down, and jump on the throttle, only to burn gas and not rubber standing still—or worse, rolling backward. Although the cars we drove in early December were Euro-spec, engineers say the frustrating shifter will come to the U.S. Write your local Volvo dealer. The XC40 boasts 8.3 inches of ground clearance and an all-wheel-drive system from BorgWarner that shifts up to 50 percent of torque to the rear wheels. The combination should keep the XC40 surefooted in bad weather, but available 20-inch tires may give owners pause before scrambling up boulders. The first Momentum and R-Design examples will feature a traditional front-strut, rear-multilink suspension setup, with R-Design trim levels getting stiffer springs, beefier antiroll bars and rear monotubes for a sportier ride. It’s not overly harsh, and we constantly reminded ourselves that we were riding atop 20-inch tires—the ride didn’t feel compromised at all. In every ride mode (Eco, Comfort, Dynamic, and Off-Road) the steering is precise and the wheel winds up predictably, but there’s not much communication back from the tires. It’s par for the course in the class, but we wouldn’t mind just a little more engagement. A 2.0-liter turbo-4 with less boost and front-drive is on its way later in 2018, but we haven’t yet driven those models. We’ll update this space when we do. The 2019 Volvo XC40 makes good use of its small space, and that includes fitting four adults aboard. The 2019 Volvo XC90 is a small, compact crossover that fits neatly among others in its class such as the BMW X1, Mercedes-Benz GLA Class, and upcoming Jaguar E-Pace. Like all of the above, two adults up front will have no reason to gripe. Stack two more into the back, and they’d better be friends. Any more passengers inside and the XC40 is Olive Garden: when they’re here, they’re family—or they better be. Volvo’s seats are among the best our backsides have sampled, with adequate bolstering and reasonable adjustability (but fall far short of some automakers’ 30-way pivoting thrones). There are several clever storage bins and cubbies, including deep door pockets that can hold notebooks and notebook computers, a trash bin in the center armrest, bag hangers on the glove box, and small slots that can hold parking tickets or credit cards near the driver’s knees. Scalloped front seats make just enough leg room for tall rear passengers (our 6-foot-3 editor could comfortably sit behind himself) without knees pressed up against the seats. Shoulder room is predictably limited for more than two passengers in the rear, but wide seat bottoms should accommodate two outboard passengers when it’s just a double-date—and no fifth wheel. The XC40 offers 20.7 cubic feet of cargo space with the rear seats up, and 47.2 cubes with the seatbacks folded down. An optional cargo floor can fold up to offer three more bag hooks and trap small items up against the rear seat back to keep from rolling around the hatch. The XC40’s parcel shelf stores neatly above the optional spare tire to keep the convenient cover in the car, instead of the garage floor where many end. Throughout the cabin, the XC40 is finished in high-quality materials and solid panels. Despite its low price (compared to other luxury crossovers), the XC40 doesn’t skimp on small details like the cubbies or a pass-through for the second row for long items. It’s a trendy container like a rucksack. Crash-test results for the 2019 Volvo XC40 aren’t yet available. Aside from crash-test data, all XC40 variants are equipped with impressive advanced safety features. Standard on all models are front, side, and curtain airbags for all occupants, including a driver’s knee airbag. Also included: forward-collision warnings with automatic emergency braking, active lane control, a rearview camera, and emergency responder notifications are included at every trim level. More advanced safety features are available, in and out of bundled packages. Volvo’s semi self-driving system, which they call Pilot Assist, bundles active lane control and adaptive cruise control as part of a $1,400 premium package ($900 on R-Design). The system can follow cars in stop-and-go traffic and travel short distances within well-defined lanes without driver input. Volvo calls it a “driver support” system because it will shut off without driver intervention after short distances. Blind-spot monitors with cross traffic alert and parking sensors are available for $1,100. Uprated headlights and a surround-view camera system are upgrades from there for $995 more. Rear vision in the XC40 is predictably poor with such fat roof pillars. They make blind-spot monitors not only a good idea, but also nearly mandatory. Every XC40 is handsomely equipped, but it’s the way you can buy it that has us interested. The most notable feature of the 2019 Volvo XC90 might not be part of the car at all. With the XC40, Volvo offers its first subscription service for cars—an available $600 flat-rate payment that includes car, insurance, and maintenance—designed to attract younger buyers. We cover the ins and outs of that program separately, but it’s an innovative idea that may grow larger in coming years. Regardless of purchase program—buy, lease, or subscribe—the XC40 comes well-equipped for $34,195. The XC40 T4 Momentum is base and includes 18-inch wheels, advanced safety features (that we cover above), LED headlights and taillights, leather upholstery, power adjustable driver’s seat, a 12.3-inch digital instrument cluster, Bluetooth connectivity, and a 9.0-inch touchscreen for infotainment with Apple CarPlay and Android Auto compatibility. Opting for the T5 Momentum adds all-wheel drive and an uprated turbo-4 for $2,000, but keeps the same features as the lower-priced version. The top T5 AWD R-Design variants add stiffer springs and bigger antiroll bars, a black roof and bigger, 19-inch wheels. 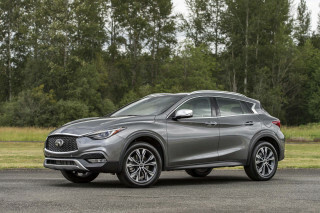 That trim level also comes equipped with a power passenger seat, two-zone climate control, navigation, softer leather upholstery with synthetic suede inserts, stiffer springs and bigger antiroll bars, motion-activated tailgate, and black headliner. Orange-red carpeting is available for $100 extra on the R-Design. Worth it. Options for the Volvo XC40 include a reasonable mix of standalone and packaged features that add impressive content. 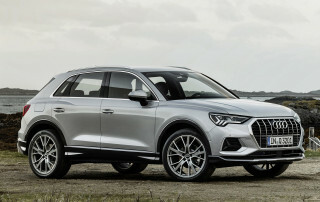 Our picks: A $1,400 Premium Package for the Momentum trim level ($900 for R-Design) adds a power adjustable passenger seat, two-zone automatic climate control, wireless phone charging, interior lighting (all standard on R-Design), Pilot Assist semi self-driving features, a foldable cargo floor, and power folding rear back rests. A crisp, premium Harman Kardon audio system and navigation is a $1,375 upgrade at the Momentum trim level. The same upgrade is $800 on XC40 R-Design, where navigation is already standard. An optional adaptive suspension will be available for $1,000 later this year. Base XC40s can wear 20-inch wheels for $800, and a white roof option for Momentum versions only costs $300. Heated front seats and a heated steering wheel cost $750 on both trims. Care by Volvo is the automaker’s subscription package and will cost users $600 or $700 monthly for 24 months and covers the car payment, insurance, wear-and-tear items such as tires, and maintenance for the fee. For $600 a month for 24 months, subscribers can drive a T5 AWD Momentum equipped with the Premium Package, blind-spot monitors, parking sensors, 19-inch wheels, dual-pane sunroof, heated front seats and a heated steering wheel. 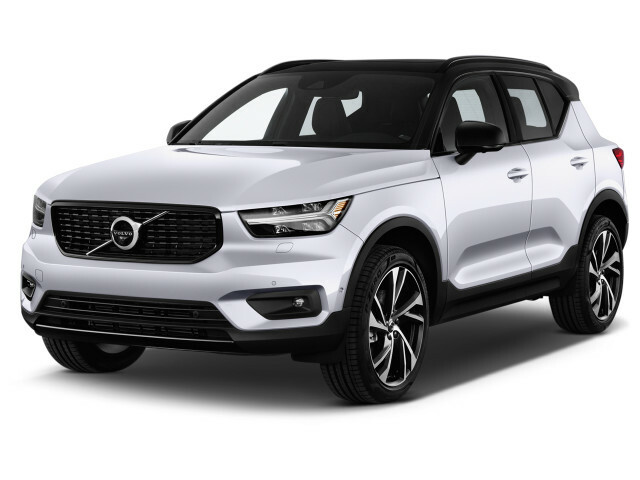 At $700 a month, Volvo offers an XC40 AWD R-Design with the Premium Package, blind-spot monitors, parking sensors, surround-view camera system, premium audio, 20-inch wheels, heated steering wheel and heated seats. Subscribers can opt to trade up each year, which renews the 24-month commitment, buy their cars outright or leave the program after two years. The 2019 XC40 earns good, if not stellar, fuel-economy ratings. All trim levels of the XC40 use a 2.0-liter turbo-4 and 8-speed automatic to make the most from every drop of gasoline. The XC40 now comes as a T5 with all-wheel drive. It's rated at 23 mpg city, 31 highway, and 26 combined. 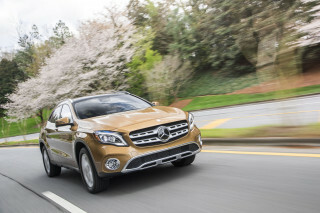 Later in the year, a front-drive model will emerge; the EPA rates it at 23/33/27 mpg. Volvo has confirmed that a battery electric version of the XC40 is on its way to the U.S., and a plug-in hybrid reportedly is on its way too. In a mix of urban and rural driving in and around Barcelona in a 2019 XC40 T5 AWD, we managed roughly 29 mpg combined, according to the trip computer. After owning many compact SUV's ...from the CX3,CX5,BMW x1, MB GLA250,I can honestly say that this is THE BEST!!! I have the 2019 XC40, Denim blue/amber, Inscription. It has a stunning NEW LOOK. The technology... After owning many compact SUV's ...from the CX3,CX5,BMW x1, MB GLA250,I can honestly say that this is THE BEST!!! I have the 2019 XC40, Denim blue/amber, Inscription. The remote functions with Volvo on Call work seamlessly..lock/unlock, remote start, semd location to vehicle...to name a few. This is my first VOLVO. It will not be my last. Looking for a different year of the Volvo XC40?